“I was always interested in infection and immunity – in particular how infection moderates the immune system. It's interesting because sometimes when you have infection in patients with chronic lung disease, they have exacerbation of their condition." According to the central dogma of biology, in order for genes to work (and therefore for cells to be functional) the gene DNA has to be transcribed into RNA, which is translated into protein. For a long time, it was thought that these proteins did all the important work within the cell. But throughout the past few decades, this central dogma has been turned upside-down. Researchers have seen that RNA can have a functional role completely aside from their protein-coding function. There is also non-coding RNA that can function within the cell to alter cell activity. A whole new area of research onto these ‘non-coding RNAs’ has blossomed. One particular type of non-coding RNA are known as microRNAs, of which there are thousands. Each microRNA has a different role – many of which are yet to be described. Importantly, one microRNA has the potential to modulate the level many coding-RNA and thus regulate the level of a range of proteins and integrated signalling networks. Hock first heard about these somewhat strange molecules during one of Laureate Professor Paul Foster’s lectures during his Biomedical Science degree at UON. Hock approached Paul about working in his lab throughout his Summer Scholarship, and was excited to get started in the field of RNA and immunology. “I’d actually applied to work with Paul on microRNAs for my undergraduate research project – but he had already taken on his students for the year so I had to go to a different lab." During infection, the early immune response clears the pathogens, while adaptive immune response is called upon if the infection persists or reoccurs. Throughout his PhD, Hock was focussing on the early responses to infection, as these drive inflammations that cause exacerbation of lung disease. Hock focussed on a few select microRNAs and their role in the immune response, including miRNA-328. 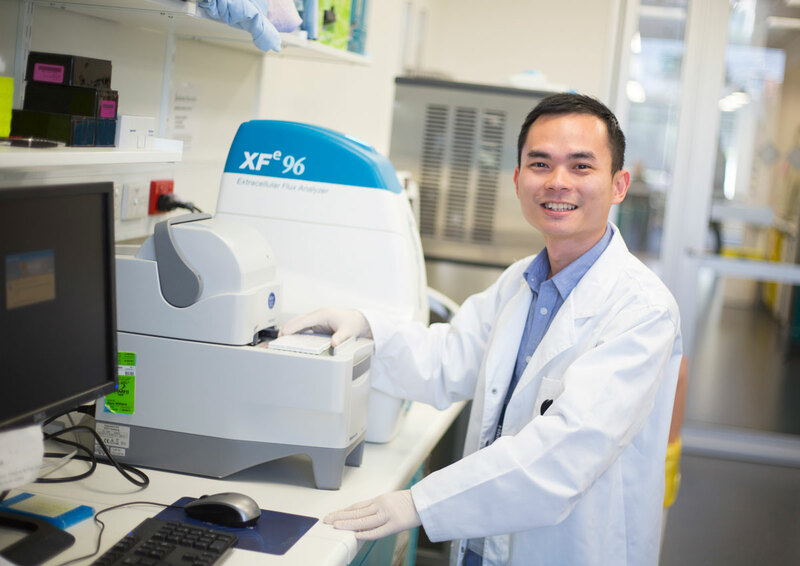 In 2016, Hock commenced his prestigious NHMRC Early Career fellowship, which he was awarded to continue his study into the role of non-coding RNAs in respiratory disease. Throughout his fellowship, Hock will be moving on to study an entirely new group of non-coding RNA: long-non-coding RNAs. With this fellowship, the University granted Hock two PhD scholarships, and he is taking on his own students for the very first time. Dr Hock Tay obtained his PhD in Immunology & Microbiology in 2014. In 2015, he received NHMRC Peter Doherty Early Career Fellowship to undertake his post-doctoral research training in Hunter Medical Research Institute at The University of Newcastle, Australia under supervision of Laureate Professor Paul Foster. His researches focus on translational studies using murine model and clinical samples to study the role of the innate immune response and non-coding RNA in regulation of inflammatory responses in lung diseases. Dr Hock Tay has expertise and knowledge in the field of infectious and chronic inflammatory diseases of the lung, immunology, cytokine biology and non-coding RNA. He has 8 years experience in experimental work such as cell culture (primary cells and cell lines), isolation of primary cells, techniques with murine models of respiratory diseases including pharmacological and physiological studies. 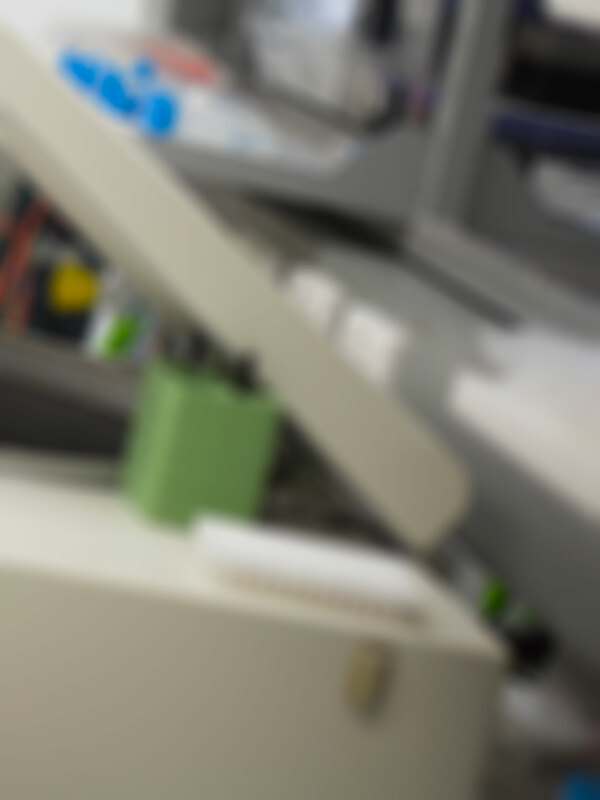 He has extensive experience in molecular techniques, RNA isolation and protein quantification. He has also established techniques to identify mRNA that are targets for miRNAs in macrophages, by using a biotin-streptavidin pull down approach, followed by RNAseq and bioinformatics techniques. Copyright © 2018 by The American Association of Immunologists, Inc. A link between inflammatory disease and bone loss is now recognized. However, limited data exist on the impact of virus infection on bone loss and regeneration. Bone loss results from an imbalance in remodeling, the physiological process whereby the skeleton undergoes continual cycles of formation and resorption. The specific molecular and cellular mechanisms linking virus-induced inflammation to bone loss remain unclear. In the current study, we provide evidence that infection of mice with either lymphocytic choriomeningitis virus (LCMV) or pneumonia virus of mice (PVM) resulted in rapid and substantial loss of osteoblasts from the bone surface. Osteoblast ablation was associated with elevated levels of circulating inflammatory cytokines, including TNF-a, IFN-g, IL-6, and CCL2. Both LCMV and PVM infections resulted in reduced osteoblast-specific gene expression in bone, loss of osteoblasts, and reduced serum markers of bone formation, including osteocalcin and procollagen type 1 N propeptide. Infection of Rag-1-deficient mice (which lack adaptive immune cells) or specific depletion of CD8+ T lymphocytes limited osteoblast loss associated with LCMV infection. By contrast, CD8+ T cell depletion had no apparent impact on osteoblast ablation in association with PVM infection. In summary, our data demonstrate dramatic loss of osteoblasts in response to virus infection and associated systemic inflammation. Further, the inflammatory mechanisms mediating viral infection-induced bone loss depend on the specific inflammatory condition. Copyright © 2017 by The American Association of Immunologists, Inc. Respiratory syncytial virus (RSV) infection induces asthma exacerbations, which leads to worsening of clinical symptoms and may result in a sustained decline in lung function. Exacerbations are the main cause of morbidity and mortality associated with asthma, and significantly contribute to asthma-associated healthcare costs. Although glucocorticoids are used to manage exacerbations, some patients respond to them poorly. The underlying mechanisms associated with steroid-resistant exacerbations remain largely unknown. We have previously established a mouse model of RSV-induced exacerbation of allergic airways disease, which mimics hallmark clinical features of asthma. In this study, we have identified key roles for macrophage IFN-¿ and IL-27 in the regulation of RSV-induced exacerbation of allergic airways disease. Production of IFN-¿ and IL-27 was steroid-resistant, and neutralization of IFN-¿ or IL-27 significantly suppressed RSV-induced steroid-resistant airway hyperresponsiveness and airway inflammation. We have previously implicated activation of pulmonary macrophage by TNF-a and/or MCP-1 in the mechanisms of RSV-induced exacerbation. Stimulation of pulmonary macrophages with TNF-a and/or MCP-1 induced expression of both IFN-¿ and IL-27. Our findings highlight critical roles for IFN-¿ and IL-27, downstream of TNF-a and MCP-1, in the mechanism of RSV-induced exacerbation. Thus, targeting the pathways that these factors activate may be a potential therapeutic approach for virus-induced asthma exacerbations. © 2017 Asian Pacific Society of Respirology Severe asthma has significant disease burden and results in high healthcare costs. While existing therapies are effective for the majority of asthma patients, treatments for individuals with severe asthma are often ineffective. Mouse models are useful to identify mechanisms underlying disease pathogenesis and for the preclinical assessment of new therapies. In fact, existing mouse models have contributed significantly to our understanding of allergic/eosinophilic phenotypes of asthma and facilitated the development of novel targeted therapies (e.g. anti-IL-5 and anti-IgE). These therapies are effective in relevant subsets of severe asthma patients. Unfortunately, non-allergic/non-eosinophilic asthma, steroid resistance and disease exacerbation remain areas of unmet clinical need. No mouse model encompasses all features of severe asthma. However, mouse models can provide insight into pathogenic pathways that are relevant to severe asthma. In this review, as examples, we highlight models relevant to understanding steroid resistance, chronic tissue remodelling and disease exacerbation. Although these models highlight the complexity of the immune pathways that may underlie severe asthma, they also provide insight into new potential therapeutic approaches. © 2016 Informa UK Limited, trading as Taylor & Francis Group. ABSTRACT: Viral exacerbations continue to represent the major burden in terms of morbidity, mortality and health care costs associated with asthma. Those at greatest risk for acute asthma are those with more severe airways disease and poor asthma control. It is this group with established asthma in whom acute exacerbations triggered by virus infections remain a serious cause of increased morbidity. A range of novel therapies are emerging to treat asthma and in particular target this group with poor disease control, and in most cases their efficacy is now being judged by their ability to reduce the frequency of acute exacerbations. Critical for the development of new treatment approaches is an improved understanding of virus-host interaction in the context of the asthmatic airway. This requires research into the virology of the disease in physiological models in conjunction with detailed phenotypic characterisation of asthma patients to identify targets amenable to therapeutic intervention. Copyright © 2016 by The American Association of Immunologists, Inc. MicroRNAs (miRNAs) are short noncoding RNAs that regulate a broad spectrum of biological processes, including immune responses. Although the contributions of miRNAs to the function of immune cells are beginning to emerge, their specific roles remain largely unknown. IL-33 plays an important role in macrophage activation for innate host defense and proinflammatory responses. In this study, we report that miR-487b can suppress the levels of mRNA and protein for IL-33 during the differentiation of bone marrow-derived macrophages (BMDMs). This results in inhibition of IL-33-induced expression of Ag-presenting and costimulatory molecules and proinflammatory mediators. A luciferase assay showed that miR-487b binds to the IL-33 39-untranslated region. We also confirmed that IL-33 directly promotes the activation of BMDMs by increasing the expression of MHC class I, MHC class II, CD80/CD86, and inducible NO synthase (iNOS) in a dose-dependent manner. Exposure of BMDMs to the TLR4 ligand, LPS, decreased miR-487b expression, increased IL-33 transcript levels, and induced the production of proinflammatory mediators (e.g., iNOS, IL-1b, IL-6, and TNF-a). Treatment with a specific inhibitor of miR-487b function also resulted in increased levels of IL-33 mRNA, which augmented LPS-induced expression of these inflammatory mediators in macrophages. Collectively, our results indicate that miR-487b plays a negative regulatory role in macrophages by controlling the levels of IL-33 transcript and protein to fine-tune innate immune host defense and proinflammatory responses of these cells. Thus, miR-487b plays an important role in the regulation of macrophage homeostasis and activation by targeting IL-33 transcripts. Limited evidence is available about the specific miRNA networks that regulate differentiation of specific immune cells. In this study, we characterized miRNA expression and associated alterations in expression with putative mRNA targets that are critical during differentiation of macrophages. In an effort to map the dynamic changes in the bone marrow (BM), we profiled whole BM cultures during differentiation into macrophages. We identified 112 miRNAs with expression patterns that were differentially regulated 5-fold or more during BMDM development. With TargetScan and MeSH databases, we identified 1267 transcripts involved in 30 canonical pathways linked to macrophage biology as potentially regulated by these specific 112 miRNAs. Furthermore, by employing miRanda and Ingenuity Pathways Analysis (IPA) analysis systems, we identified 18 miRNAs that are temporally linked to the expression of CSF1R, CD36, MSR1 and SCARB1; 7 miRNAs linked to the regulation of the transcription factors RUNX1 and PU.1, and 14 miRNAs target the nuclear receptor PPARa and PPAR¿. This novel information provides an important reference resource for further study of the functional links between miRNAs and their target mRNAs for the regulation of differentiation and function of macrophages. © 2015 American Academy of Allergy, Asthma & Immunology. Background Steroid-resistant asthma is a major clinical problem that is linked to activation of innate immune cells. Levels of IFN-¿ and LPS are often increased in these patients. Cooperative signaling between IFN-¿/LPS induces macrophage-dependent steroid-resistant airway hyperresponsiveness (AHR) in mouse models. MicroRNAs (miRs) are small noncoding RNAs that regulate the function of innate immune cells by controlling mRNA stability and translation. Their role in regulating glucocorticoid responsiveness and AHR remains unexplored. Objective IFN-¿ and LPS synergistically increase the expression of miR-9 in macrophages and lung tissue, suggesting a role in the mechanisms of steroid resistance. Here we demonstrate the role of miR-9 in IFN-¿/LPS-induced inhibition of dexamethasone (DEX) signaling in macrophages and in induction of steroid-resistant AHR. Methods MiRNA-9 expression was assessed by means of quantitative RT-PCR. Putative miR-9 targets were determined in silico and confirmed in luciferase reporter assays. miR-9 function was inhibited with sequence-specific antagomirs. The efficacy of DEX was assessed by quantifying glucocorticoid receptor (GR) cellular localization, protein phosphatase 2A (PP2A) activity, and AHR. Results Exposure of pulmonary macrophages to IFN-¿/LPS synergistically induced miR-9 expression; reduced levels of its target transcript, protein phosphatase 2 regulatory subunit B (B56) d isoform; attenuated PP2A activity; and inhibited DEX-induced GR nuclear translocation. Inhibition of miR-9 increased both PP2A activity and GR nuclear translocation in macrophages and restored steroid sensitivity in multiple models of steroid-resistant AHR. Pharmacologic activation of PP2A restored DEX efficacy and inhibited AHR. MiR-9 expression was increased in sputum of patients with neutrophilic but not those with eosinophilic asthma. Conclusion MiR-9 regulates GR signaling and steroid-resistant AHR. Targeting miR-9 function might be a novel approach for the treatment of steroid-resistant asthma. © 2015 Tay et al. Pathogenic bacterial infections of the lung are life threatening and underpin chronic lung diseases. Current treatments are often ineffective potentially due to increasing antibiotic resistance and impairment of innate immunity by disease processes and steroid therapy. Manipulation miRNA directly regulating anti-microbial machinery of the innate immune system may boost host defence responses. Here we demonstrate that miR-328 is a key element of the host response to pulmonary infection with non-typeable haemophilus influenzae and pharmacological inhibition in mouse and human macrophages augments phagocytosis, the production of reactive oxygen species, and microbicidal activity. Moreover, inhibition of miR-328 in respiratory models of infection, steroid-induced immunosuppression, and smoke-induced emphysema enhances bacterial clearance. Thus, miRNA pathways can be targeted in the lung to enhance host defence against a clinically relevant microbial infection and offer a potential new anti-microbial approach for the treatment of respiratory diseases. © 2014 Informa UK, Ltd. MicroRNAs are small non-coding RNAs that bind to multiple target mRNAs to control gene expression post-transcriptionally by inhibiting translation. In mammalian cells, microRNAs play important roles in a diverse array of cellular processes (e.g. cell proliferation and differentiation). However, alterations in their levels may compromise cellular function, predisposing to disease. In this review, we discuss microRNAs that have been linked with pathogenesis of asthma and propose functional roles in the regulation of disease. MicroRNAs have the potential to be biomarkers for asthma and provide the platform for the development of new classes of therapeutic compounds.